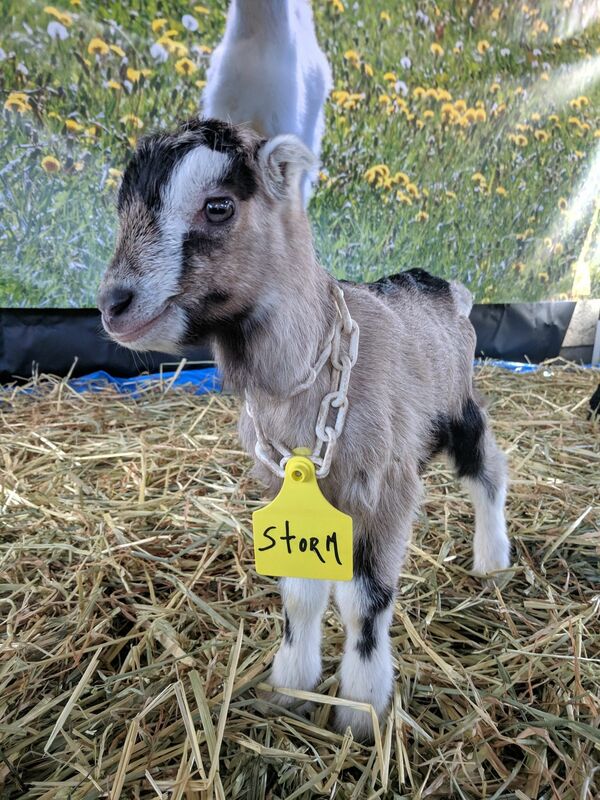 The Ferry Plaza Farmers Market festival that used to go by the name "Goatchella" went down on Saturday, and SFist was on hand to pet a few baby goats, including one named Storm, and another named Bruce Wayne. 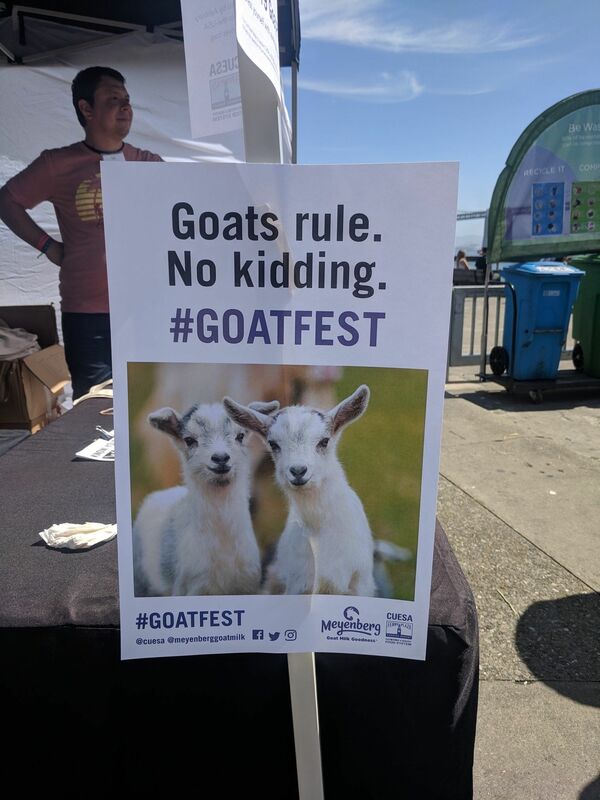 Goat Fest went on hiatus in 2018 (here are some photos and videos from the 9th annual fest in 2017), and they can no longer use the "-chella" moniker because Coachella apparently got upset. 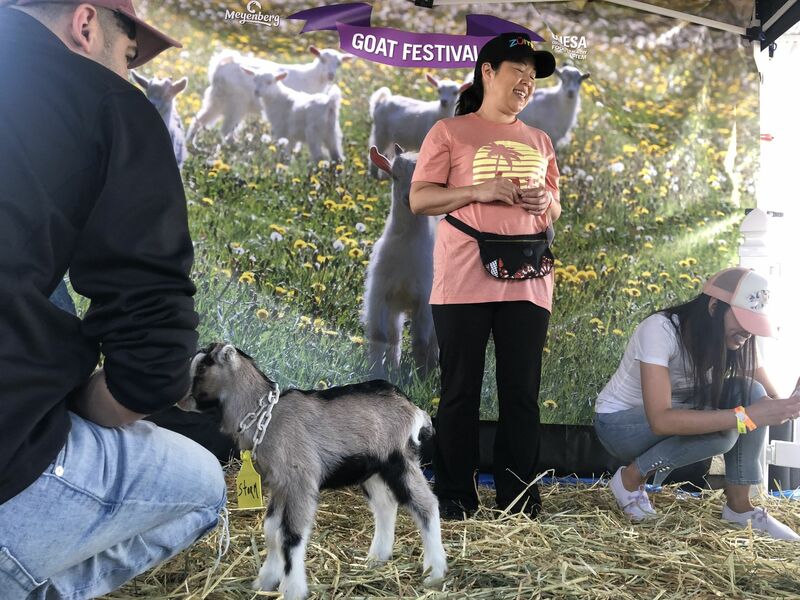 But the almost annual, springtime celebration of all things goat came back for a 10th edition on Saturday, baby goat petting zoo and all. 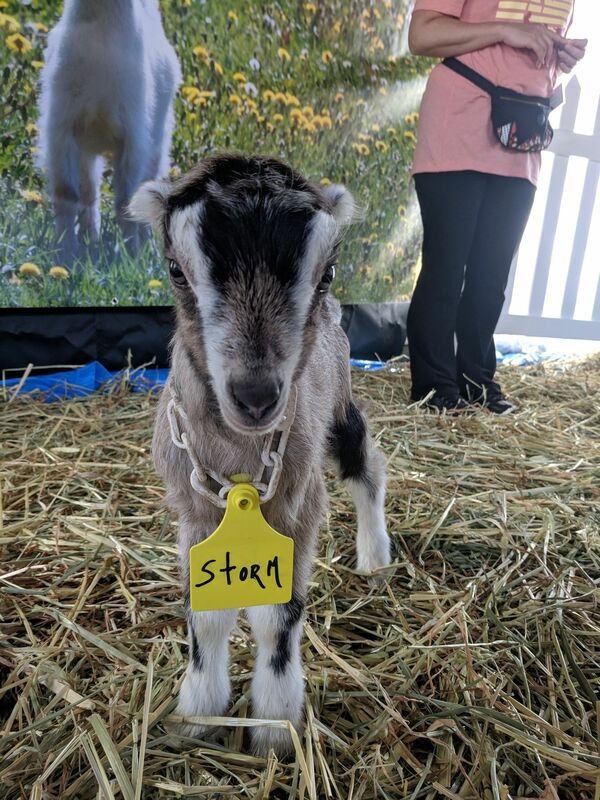 There were goat cheese-making demonstrations courtesy of Nightbird chef Kim Alter, as well as goat milk samples and a goat cheese tasting. 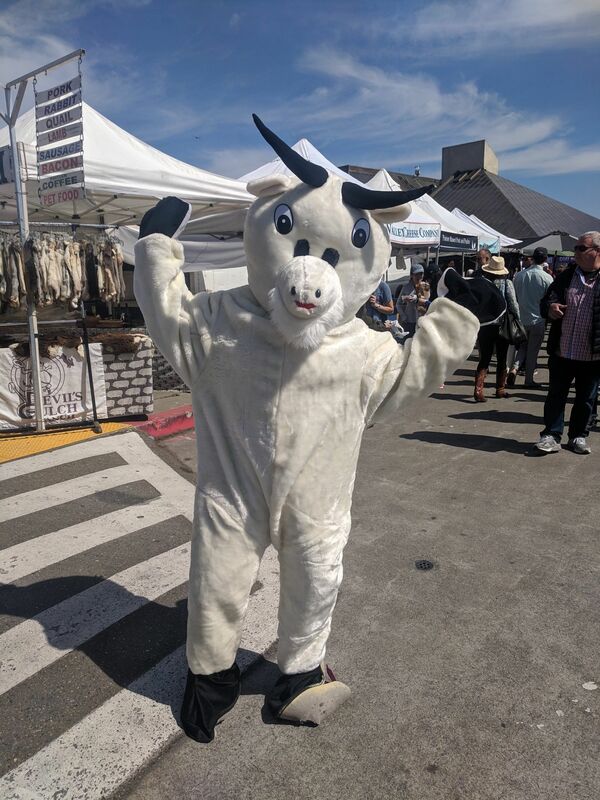 And there was a slightly scary goat mascot in a furry suit. 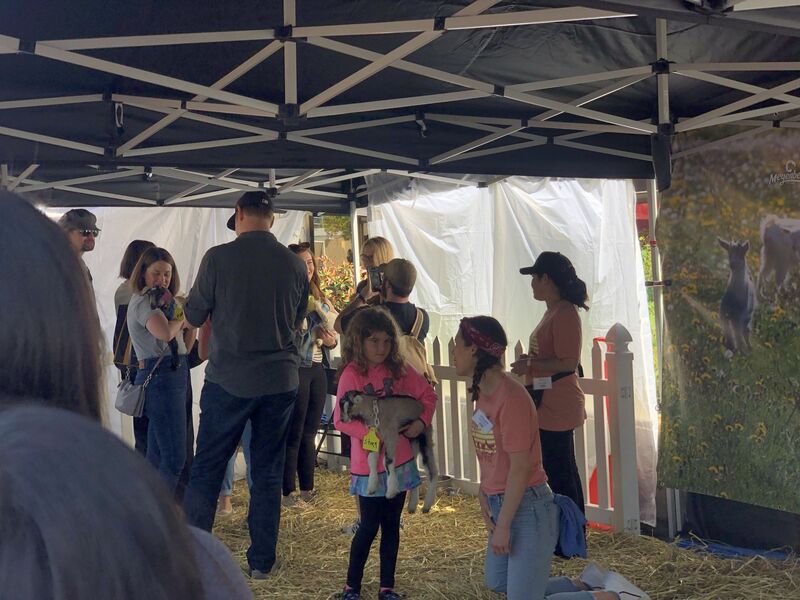 But, by and large, people were there for an Instagram moment with an adorable baby goat. 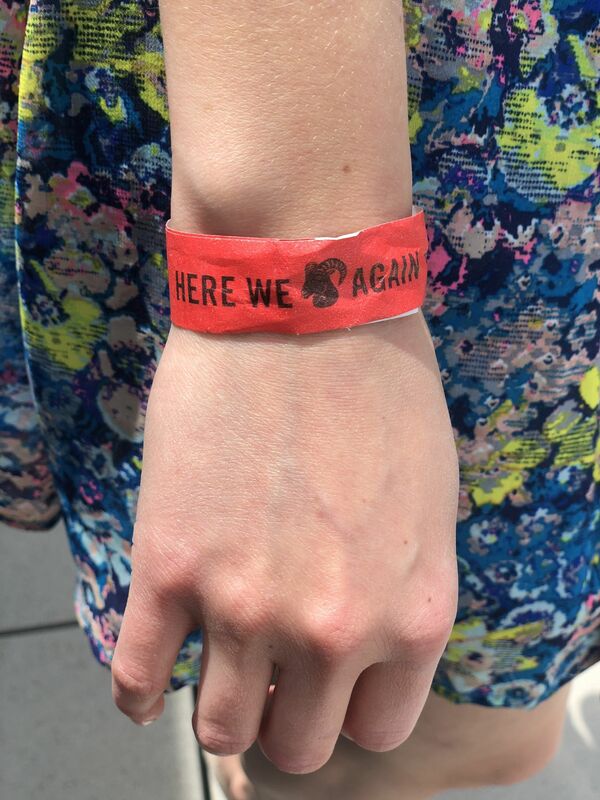 Much like in previous years, tickets for the petting zoo portion sold out in an hour after going up on Eventbrite. 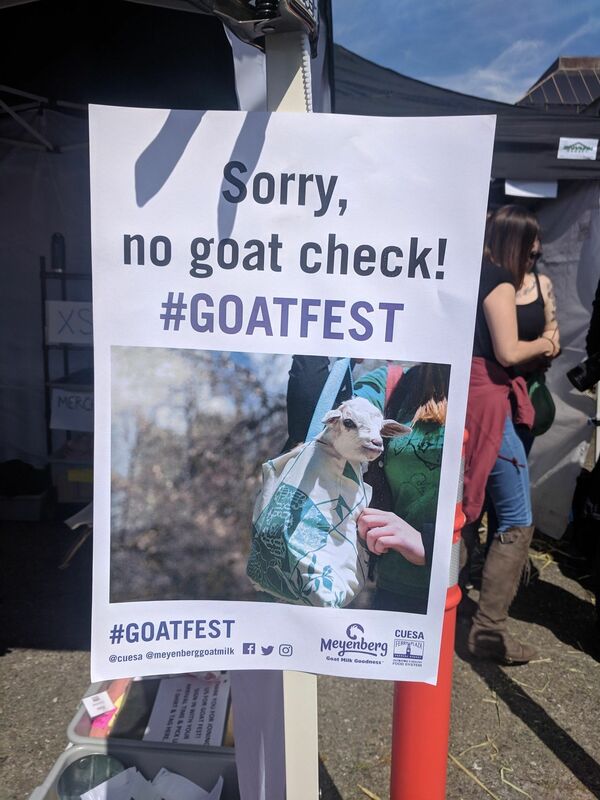 Organizers from CUESA — the same org that puts on the farmers' market — say that they do everything they can to keep the goats calm and relaxed during the festivities. 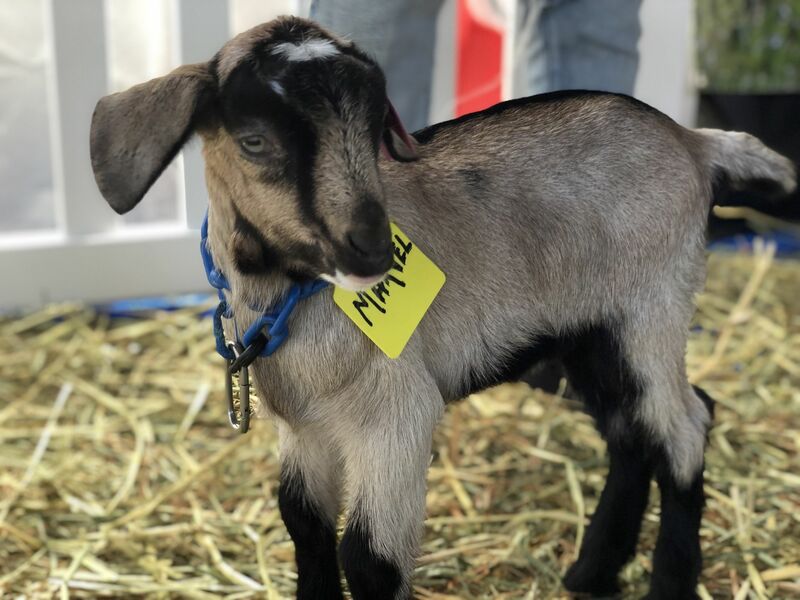 And that includes limiting the number of people who can be in the enclosure with the baby goats at one time — hence the need for tickets and reservation times. 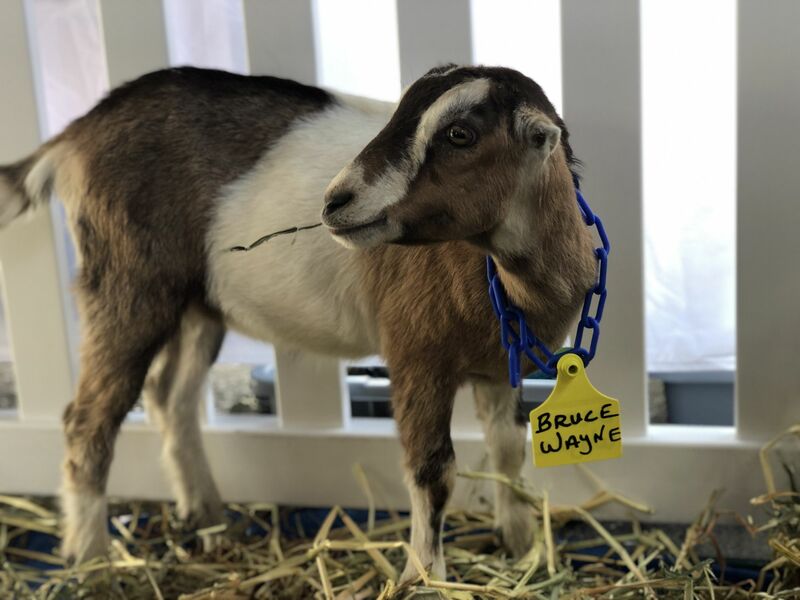 And of course there were plenty of goat jokes. 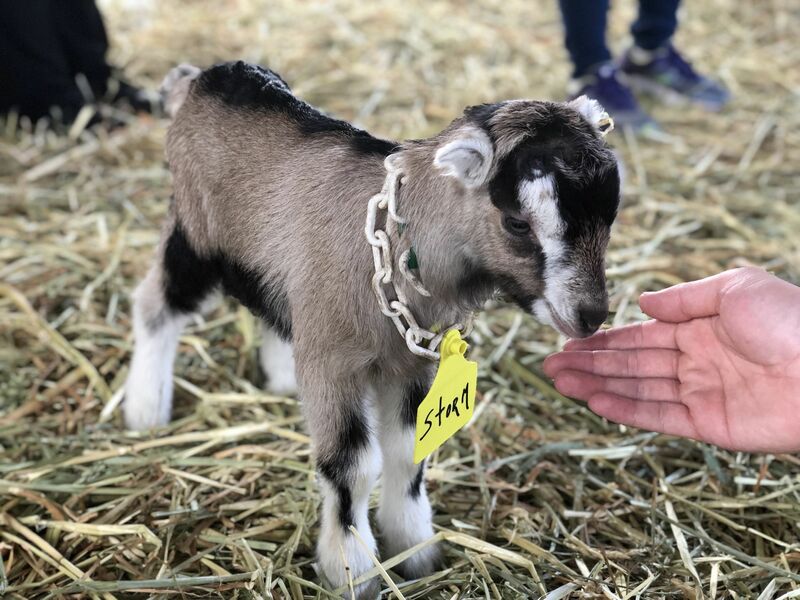 Without further ado, here are the baby goats.